Home » Healthy Sleep » What is Social Jet Lag? Do You Have it? What is Social Jet Lag? Do You Have it? Nothing on this website is intended to be a substitute for professional medical advice, diagnosis, or treatment. You should always seek the advice of your physician or other qualified health provider with any questions you may have regarding a medical condition. The contents of this website are for informational purposes only. Chances are, you have social jet lag, and you don’t even know it. Unlike travel-based jet lag, the social variety happens right at home. Staying up late on the weekends, sleeping in on Sundays, and then waking up at 6 a.m. on the weekdays to head to the office puts your body in a state of chronic fatigue. How Does Social Jet Lag Happen? It’s those darn “social” obligations like friends, family, and work that often dictate when we sleep and when we wake up. We should be listening to our biological clocks instead. If we don’t, we risk all sorts of health challenges. 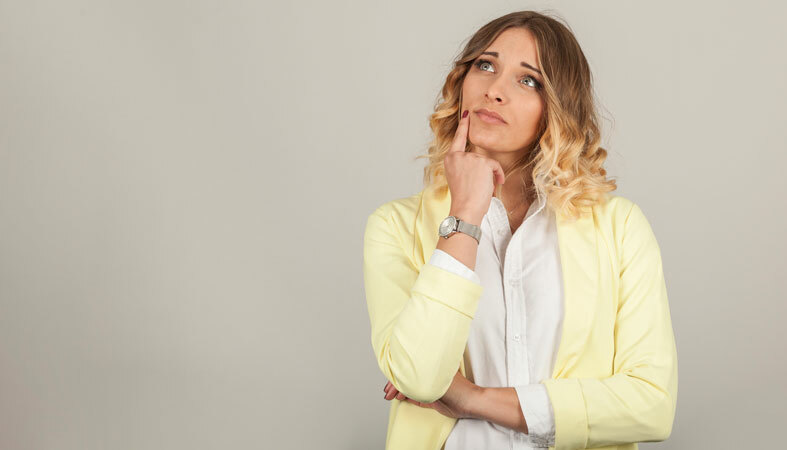 However, following a regular schedule in today’s fast-paced world is easier said than done, so in this article, we’ll talk about how exactly it happens and what you can do to minimize its effects on your body. Before the Industrial Revolution, most humans followed a schedule based on nature. Our circadian rhythm, also referred to as an internal or biological clock, received environmental cues from the environment telling us when it was time to go to fall asleep and wake up. The most dominant signal was sunrise and sunset. In today’s fast-paced environment, where you can live in brightness 24/7, it’s more challenging for people to synch up with that natural rhythm. Instead, it’s not uncommon for people to stay up well past dark, using electricity to light their homes and workplaces. They may even need to wake up before the sun to commute or exercise. As you can imagine, by the end of the week most of us are exhausted, but we might have something planned on Friday night like a party, dinner out with friends, a trip to the movies or an evening with Netflix. We’re more likely to stay up past our usual bedtime, and then try to catch up on some zzz's by dozing until 9 a.m. or later. If your standard wake-up time during the week is 6 a.m., for example, and you don’t wake up until 9 a.m. on Saturdays and Sundays, then you’ve effectively crossed a few time zones. And, therefore, you now have a form of jet lag, just like approximately two-thirds of the population. It turns out that the regularity of our sleep schedule is as important as the number of hours we get. Our circadian rhythm releases different hormones during the day and night that regulate many of our bodily functions, including digestion and appetite. They also control mood, so if your schedule is off, then your attitude might be, too. Another thing that happens when our rest schedules aren’t natural is that our brains get rewired. Unlike conditions like diabetes, heart disease and obesity that develop over time, it only takes a couple of nights of a suboptimal pattern to take hold of our mood. When the brain detects an abnormality in the environment that affects its ability to heal, repair, restore and process, it sends more communicative ability to the amygdala, which is responsible for “fight or flight.” Therefore, an abnormal sleep schedule could make you more irritable and unable to handle stressful situations as gracefully. For every hour you throw off your clock, you increase your risk of heart disease by 11%. Imagine what would happen after three or more hours! When we ignore the light and dark cycles that cue us to wake and sleep, we throw two essential hormones off balance: ghrelin and leptin. Ghrelin stimulates appetite, and leptin tells us that we’re full. When we’re experiencing this condition, we may be extra hungry, and even when we eat more, we might feel satisfied. There’s also evidence suggesting that people on an abnormal sleep cycle don’t burn as many calories when they’re at rest. Over time, this could lead to a pattern of weight gain of up to 10 to 12 pounds in a single year. Similar to a mood being affected, depression is another side effect. To compound the impact, those with abnormal sleep schedules may not get the sunlight they need during the day, which is key for battling depression. An irregular sleep schedule reduces the body’s ability to regulate insulin. Over time, this increases the risk of type 2 diabetes. Lack of proper bedtime means the body has less time to process information, learn and store memories. If you’ve stayed up late and then have to wake up early, you’re not likely to perform well in these areas. A lot of experts recommend making an extra effort to go to bed and get up at the same time each day, or at least modify your sleep schedule by no more than an hour. Many people find that challenging and impractical, especially if extracurricular obligations necessitate a late night. If you can’t adjust your schedule to follow a more uniform pattern, then we recommend getting sunshine first in the morning when you do wake up. Also, avoid the use of electronic devices and bright lights late in the evening. You may not be able to rest on a perfectly natural schedule, but by regulating your light exposure to a more innate rhythm, you may be able to lessen the effects it has on your well-being. Is there a treatment for it? There’s no official prescription. The best thing you can do is be mindful of your schedule and make an effort to keep it on track. For example, if you know that you have a late-night outing planned on Saturday and you have to sleep in on Sunday, try to make sure that you’ll be drowsy enough to fall asleep later that night at a reasonable time. There’s nothing worse than waking up on Monday morning feeling exhausted. When life gets busy, proper bedtime is often the first healthy habit that goes by the wayside. However, sleep is vital to health. Without a regular schedule, you’re vulnerable to weight gain, heart disease, obesity, and depression. By getting enough sleep and adhering to a regular schedule, you can take control of your health in a way that’s both inexpensive and pleasurable. I've been self-employed for almost four years and I would not change it for anything! I believe that anyone can achieve their goals with the right attitude and determination. I'm an avid traveler (25+ countries and counting) that loves to meet new people doing amazing things. When I'm not researching for the Sleep Advisor, you can find me reading, running, traveling, golfing, or meditating. I wish you the very best on your journey! 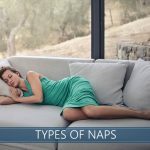 9 Different Nap Types - Which One is Good for You? 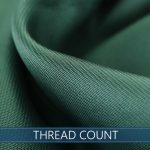 Thread Count for Sheets - Does it Really Matter? Is Sleep Linked to Alzheimer’s? Transparency Disclosure – We may receive a referral fee (at no additional cost to the buyer) for products purchased through the links on our site or other applicable pages. To learn more, please read our full disclosure page here. We also encourage you to read about how we may research and/or test Products here. ZzZs to Dollars: How much does Sleep Deprivation Cost? Sleep Advisor was created out of frustration. We asked our friends about how they find information about sleep information and products. Most of them kept saying they go online and read what shows up on Google. After hearing that, we decided to try it out for ourselves. We conducted search after search and realized there was a common issue: The information wasn’t up to our standards. Copyright © 2019, Sleep Advisor. All rights reserved.